Bourbon Street Books, 9780062195456, 368pp. When Josephine Tey unexpectedly inherits Red Barn Cottage from her estranged godmother, the will stipulates that she must personally claim the house in the Suffolk countryside. But Josephine is not the only benefactor—a woman named Lucy Kyte is also in Hester’s will. Sorting through the artifacts of her godmother’s life, Josephine is intrigued by an infamous death committed on the cottage’s grounds a century before. Yet this old crime—dubbed the Red Barn murder—still seems to haunt the tight-knit village and its remote inhabitants. Is it just superstition, or is there a very real threat that is frightening the locals? 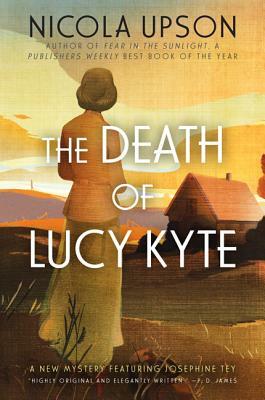 Could the truth be related to the mysterious Lucy Kyte, who no one in the village admits to knowing?